Saint Joseph's Day March 19 is Father's Day in some Catholic Countries: Spain, Portugal, and Italy. He is the foster-father of Jesus Christ. EtalianFood offers to you Unique Father's Day Gift Ideas online. 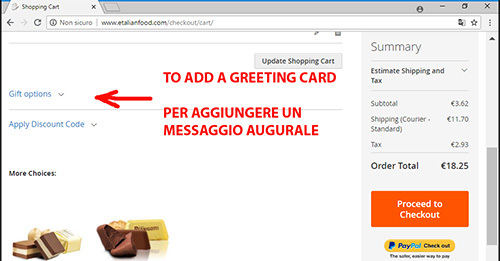 You can add gift message in order: The gift message form is displayed in ‘Shipping Method’ section of Checkout page.